In the NHL, two of the most anticipated days of the year are the trade deadline, and the opening of free agency. Some of the most important and consequential franchise-altering moves that a team makes can be made on these days. Case in point, last summer, the Minnesota Wild signed Zach Parise and Ryan Suter to matching 13-year, $98 million contracts four days into free agency. When looked back upon in about 10 years that moment will either be the turning point that ushered in an era of success, or it will be looked at as the point in which they handcuffed their future by throwing too much money to two players who never lived up to expectations. I tend to believe that it will be the first stated outcome, but regardless, the first day of free agency 2012 was the beginning of the new Wild era and represents the thinking of many teams in the league. In today’s professional sports, the income is in the billions and often times money is thrown around to make teams competitive NOW. The problem with this approach is that if too many teams are doing it (let’s face it, the majority of the teams try it), you wind up overpaying for players and not getting your money’s worth out of them. In the desperation to “win now” many teams have lost sight of how to truly build a strong team because they overpay for free agents and trade draft picks away at the trade deadline to land certain players. With all the fuss about trade deadline day and the opening of free agency, many have lost sight of the most effective way to build a contending team for a period of time — the NHL entry draft. One team in the NHL today has drafted better than any other team; the St. Louis Blues. Generally, when you think of draft-built NHL teams, you think of a team like the Edmonton Oilers who feature first overall picks Ryan Nugent-Hopkins, Taylor Hall and Nail Yakupov. 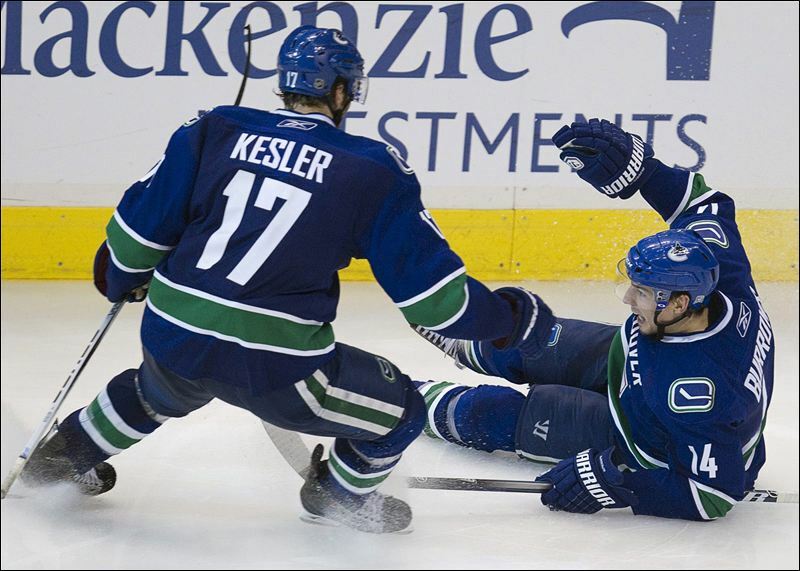 In addition, other first-round picks like Jordan Eberle, Sam Gagner and Ales Hemsky are playing big roles. The problem with the Oilers is they are not a competitive NHL team, although they are flashy and exciting to watch. As of Thursday night, the Oilers are second in the Northwest Division, with eleven points. This may prove to be the year they make the playoffs. However, they are coming off of three consecutive seasons in which they earned the first overall pick. The Oilers are coming up, but they aren’t there yet. 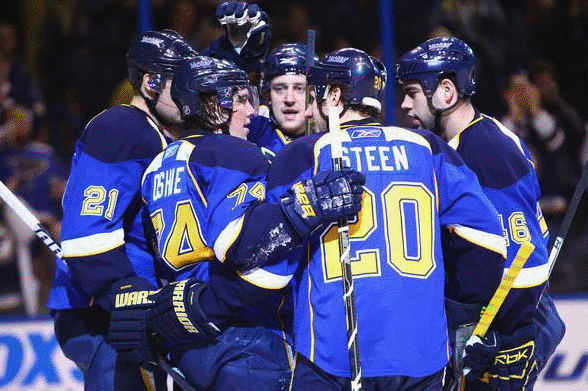 The St. Louis Blues are here already and they are not going anywhere. Of its active roster today, 12 of St. Louis’ 23 active players are draft picks of the Blues and the majority of them play significant roles on the team. The number of home-grown draft picks now playing on the Blues speaks volumes of the people who constructed this team. While not responsible for every draft pick still playing with the Blues today, the architect of the St. Louis Blues that take the ice today is John Davidson. For many of our casual hockey fans, Davidson was an NHL goalie-turned broadcaster, and was hired as the president of hockey operations of the Blues in 2006. Davidson recently left the Blues to take over the same position with the Columbus Blue Jackets, but during his time with the Blues he took them from having the fewest points in the league to Central Division (arguably the toughest in all of hockey) champions last season. Davidson slowly built the Blues up through the draft, not rushing his draft picks along to hope they live up to their potential at the expense of their development, and at different stages along the way, made other key personnel changes such as hiring GM of the year (2012) Doug Armstrong and coach of the year (2012) Ken Hitchcock. John Davidson is not a name that you might recognize unless you are immersed in hockey, but as we look at the Blues, he is a name that must be mentioned and remembered. Now that we have covered the builders of the team, let’s look at each home-grown player for St. Louis. Although he is a pre-Davidson pick, Backes serves as Blues captain and falls into the category of underrated. He is a big guy and he uses his body effectively. Backes is an all-around player who can score, posting 274 points in 450 career NHL games. 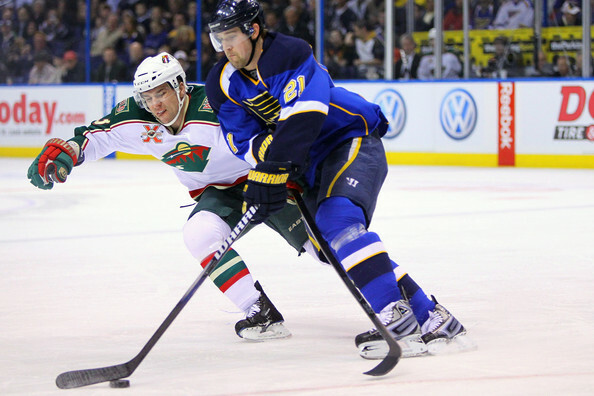 Backes was drafted in ‘03 and played at Minnesota State-Mankato for three seasons until starting the 2006 season on St. Louis’ AHL team before being called up later that season. He now leads the Blues with his combination of tough, physical and agitating play, along with his offensive ability. Another large body that they like to use on the forecheck, Berglund is an interesting player. Drafted as a first-round pick in 2006 (their second first-round pick of that draft), the expectations were high on Berglund coming out of the Swedish Elite League. 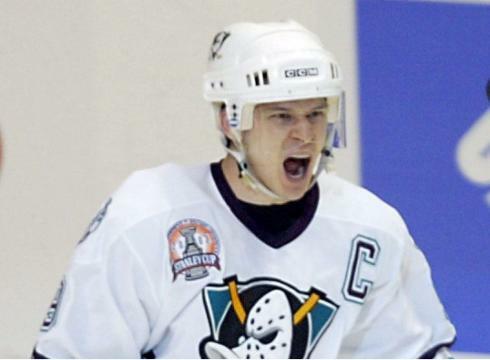 He was consistent 20-goal scorer in Sweden, but his offensive upside was never realized. Despite only missing a total of 18 games over four NHL seasons, Berglund has only totaled 78 goals, and 168 points in 316 NHL games. What’s kept him around then? 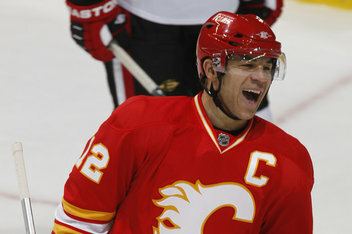 He is pretty responsible defensively and he is a great skater. In addition, he carries a low cap hit of $2.25 million and with his potential and previous proven 20 goal-scoring ability, that is a very reasonable price. T.J. Oshie is one of the core players for the Blues, and will be for years to come. Oshie is on a 5-year contract that sees him signed through the 2016-2017 season at a cap hit of $4.175 million. In a mere 268 NHL games, Oshie has 66 goals and 180 points and Oshie is coming off of his first healthy season last year in which he played in all but one game. Despite not hulking over 6-foot-tall like many of his teammates, Oshie isn’t undersized, standing at 5-foot-eleven and weighing 198 pounds. He has great speed speed, pretty good hands and is a physical player. He goes to the front of the net and gets dirty goals, a knack for agitating the opponents, yet himself is very well disciplined, posting a total of 133 PIM over his entire career. Look for him to also be a staple on Team USA during international and Olympics play. 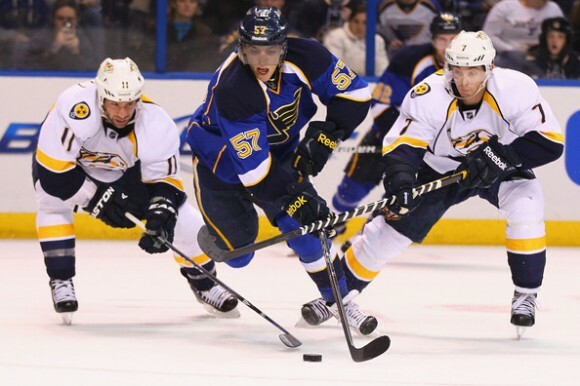 The 24-year old-star winger is perhaps the most skilled played in the Blues lineup. 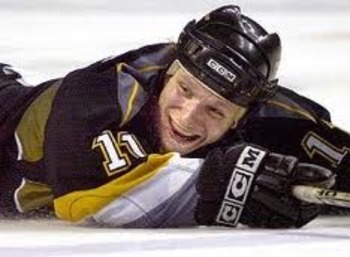 He can stick handle in a phone booth and has a fantastic wrist shot. 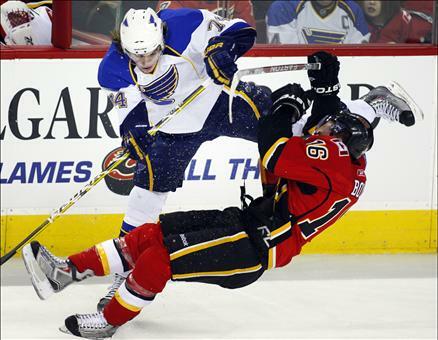 The knock on Perron early was consistency, as his goals totaled 13, 15 and 20 in his first three seasons, until he suffered a major concussion during the 2010-11 season, playing in only 10 games. Perron wouldn’t return from the hit he received from Joe Thornton on November 4, 2010 for over a year, before returning on December 4, 2011. His return season saw him play in 57 games and post 21 goals and 42 points. This season, although only ten games in, he has two goals and eight points. If Perron can stay healthy, which it now looks like he can, look for him to lead the way in scoring. Without much of a body of work, this kid has made a HUGE impression on the NHL community. 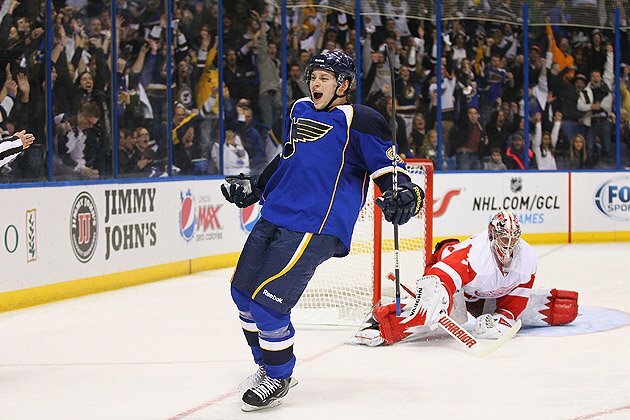 Getting his shot with the NHL club, Tarasenko has jumped out to a fantastic start. In ten games for the Blues this year, he has 5 goals and 5 assists. The goals have all been beautiful. The Russian got his start playing in the KHL since the 2008-09 season, starting in the league playing against grown men at 15 years old. This experience has left him ready for the NHL and fearless, despite being slightly undersized at 5 foot 11, although he does weigh a healthy 202 pounds. Tarasenko looks like he’s here to stay, so lets sit back and watch the fireworks. 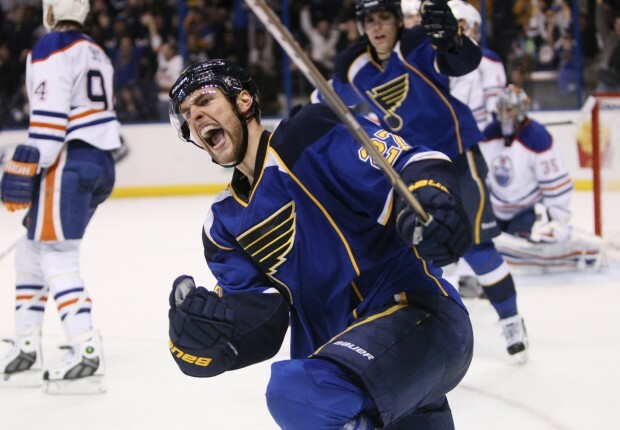 One of the key pieces of St. Louis’ success already and moving forward, has to be Alex Pietrangelo. After being drafted fourth overall, expectations are high for this kid and so far, he is living up to them. 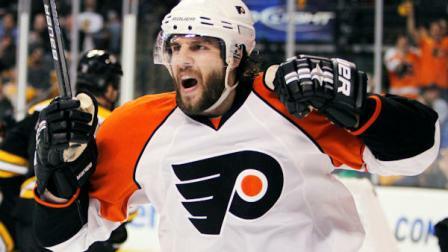 A big body at 6 foot 3, he anchors the Blues top-four defensemen and would have to be considered the franchise player. Pietrangelo does it all, hits, skates well, passes well, can score, his positioning is spot on and pretty much any other aspect of the game that you could name, the kid does well in. Pietrangelo has posted fantastic offensive numbers in his brief NHL career, netting 25 goals and 104 points in only 183 games played. One of the most unheralded young star players in the game today, his future, along with the Blues looks bright. 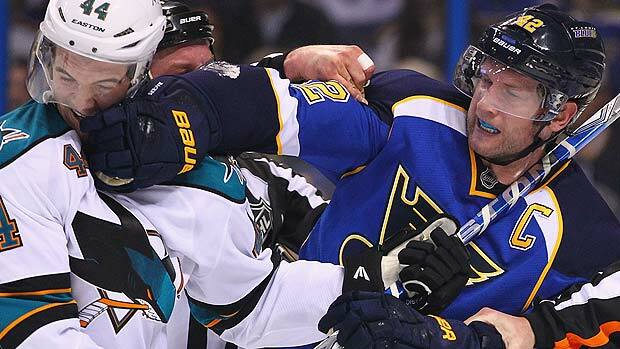 Barret Jackman is one of your old-school NHL defensemen. Cut from the same mold as Chris Pronger and Scott Stevens, Jackman is a veteran of the league and one of the last players from the generation of players that I have been watching my whole life. 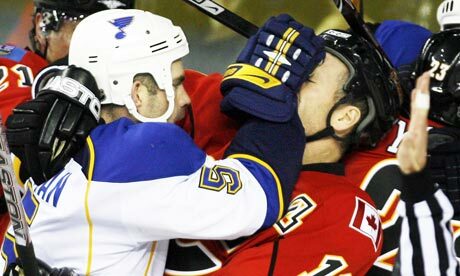 In hiseleventh season of his career, he has seen the best and worst of the St. Louis Blues. He is left over from the Keith Tkachuk, Al MacInnis and Scott Mellanby era, an era that saw St. Louis always in the playoff mix and has seen the lows of the Blues being cellar dwellers. He is a tough, physical presence on the blueline and a leader both on and off the ice. With his career reaching the latter stages, there is probably no one on the Blues more motivated win now than Jackman. As a hockey fan, Jackman is a guy you love to watch for the way he plays the game and if you’re a fan of a rival team, you probably hate him. Mean and nasty at times, he clears the front of his net and works his own defensive corners very well. He also has a blast of a shot and sees some power play time too. Another young guy playing on the NHL club full time. Due to the talent in front of him, he sees less ice time, but still is a staple in the lineup with tons of potential still to reach. 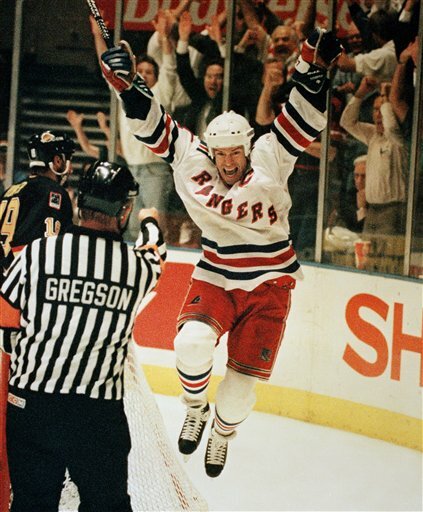 He’s the team goon, his stat line says it all: 93 GP 5 G 3 A 8 PTS and 221 PIM. I am still a believer that a tough guy is a needed person on your team and that it creates more room out there for the skilled players. Reeves, despite his size at 6 foot 1, 229 pounds, is a pretty good fourth liner. Another first- round pick and another solid player. Despite not seeing the accelerated success of a Pietrangelo, Cole is still a solid D-Man and so far this year is averaging nearly 19 minutes of ice time per game. A staple on the Blues blueline for a while now, Polak is a guy you may not notice, but that can be a good thing, a la Rob Scuderi. As you can see, the Blues have had tremendous success on draft day and have turned dark years into excitement for years to come. Along with the players they have drafted, two huge additions to the team are in net with Jaroslav Halak and Brian Elliot. Perhaps the best tandem between the pipes in the league, these two can bail out the young Blues at any given time when mistakes are made. And don’t let the star players of the Blues fool you, while they have some young players making up their core, they also have great experienced veterans supplementing the youngsters, such as Scott Nichol and Alex Steen and former Cup winners Andy McDonald and Jamie Langenbrunner. While we are on the subject of draft picks too, we can’t forget the trading of number one overall pick Erik Johnson to Colorado last season for the dynamic Kevin Shattenkirk on defense and prototypical power forward Chris Stewart, who adds more size to the forward ranks at 6 foot 2, 232 pounds. So here we are, in the waning days of February in this shortened NHL season and the Blues sit in one point out of second place in the Central Division at 6-4. After knocking the perennial Western Conference contending Sharks out in the first round last playoffs, they were derailed by the eventual cup champion Kings in four games. Now that the youngsters have had a taste of playoff success and the veterans knowing what it takes to sustain that success in the playoffs, the draft day Blues are poised to contend for hockey’s holy grail this year, and for many years to come. The Cover 4 will feature a number of writers to cover a variety of topics. 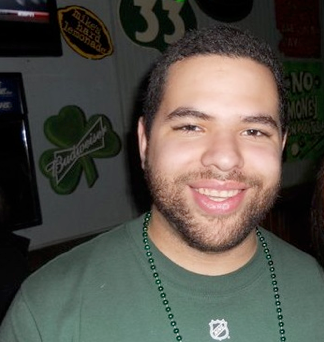 This article is by our very own Rick Davis, NHL insider. season(and any season at all for that matter) that briefly shined not long ago is fading fast. trio of counter proposals that were quickly dismissed by the league and since then, all has been quiet. of this lockout, it is really hard to pick a side. matter of this lockout is that both sides are representing one thing: MONEY! advantage that the other Big 4 sports leagues in America had; extensive national coverage on ESPN. serious negotiations at the time with ESPN, NBC presented the best deal for the league). enacted. Even to professional athletes, that is not chump change. now, are refusing to budge on. concessions as well because no business at all is never good business. 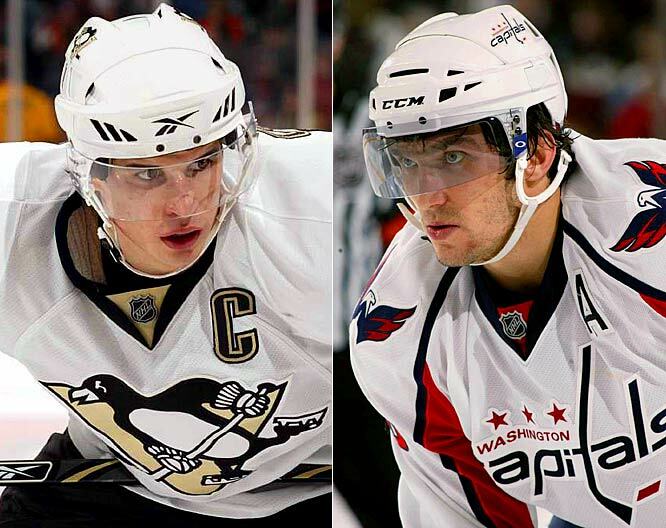 13 can satisfy our hockey cravings for now.